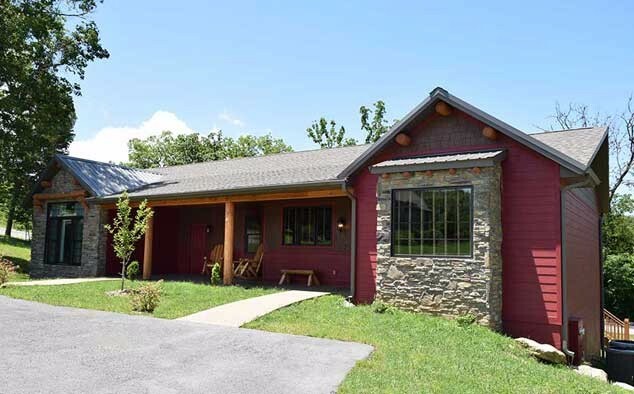 Our newest cabin addition incorporates all the fine finishes of our cabins plus it allows for the economies of a lock-off floor plan. 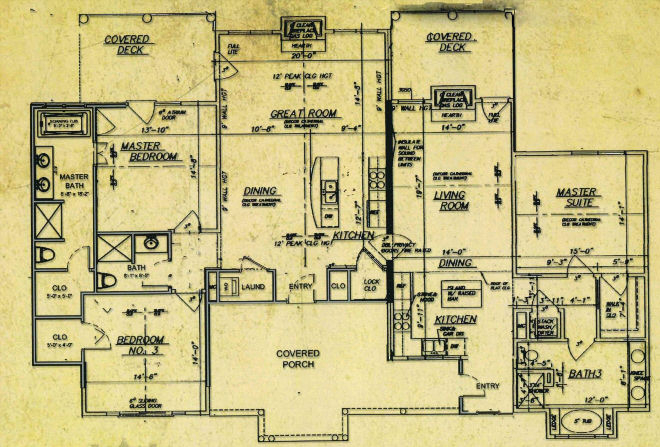 Containing 2 bedrooms on one side and 1 bedroom on the other, there are over 2140 square feet and 2 full size kitchens and living areas. 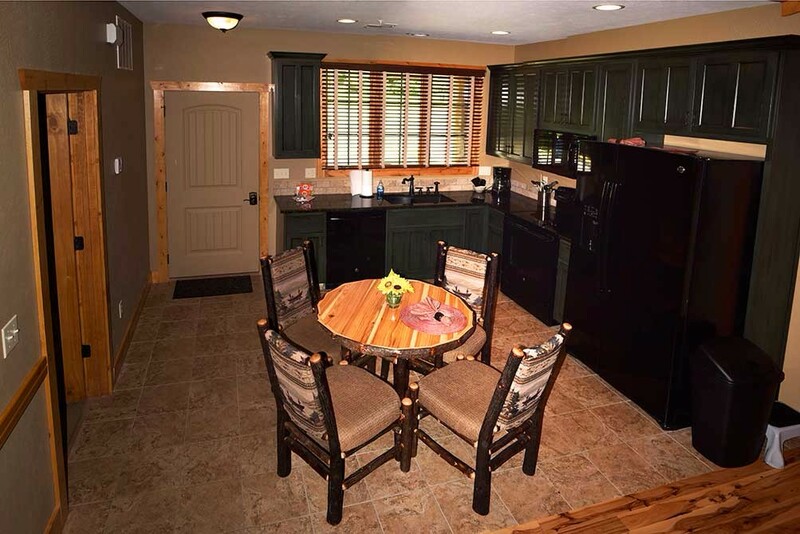 This cabin may be purchased by one bedroom, two bedrooms, or all three depending on your family vacation needs. 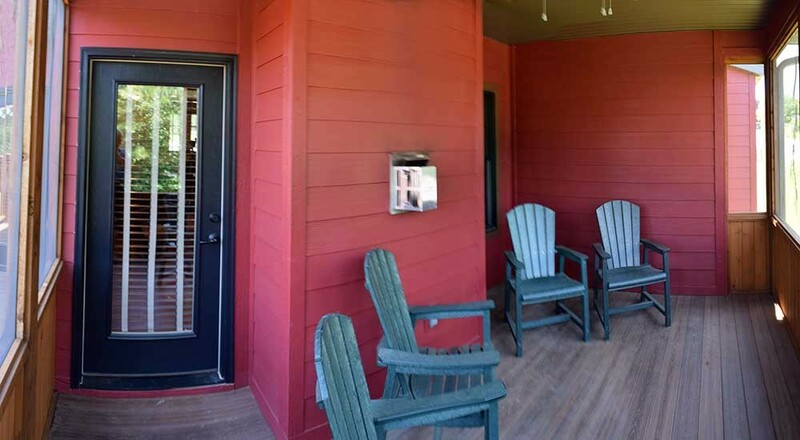 Both living areas contain signature fireplaces providing abiding enjoyment during the chillier months. 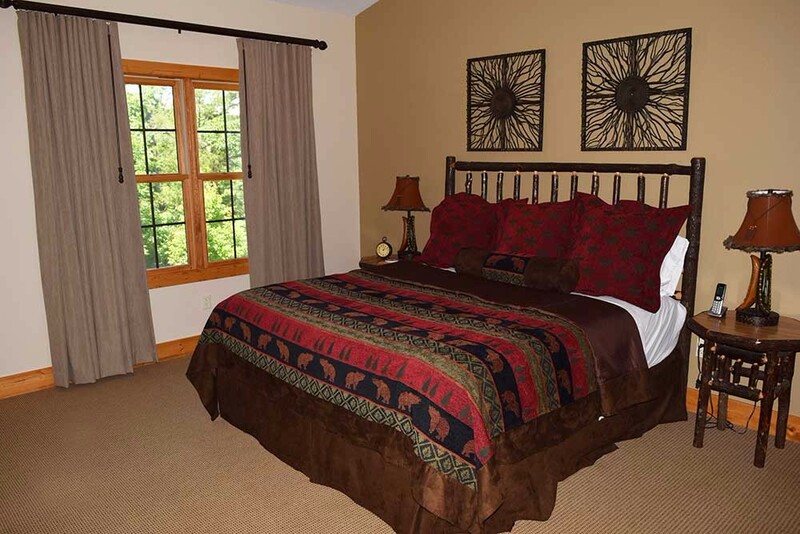 Some families prefer their vacations to Branson during the winter, remaining secluded with the family and quiet times with each other. 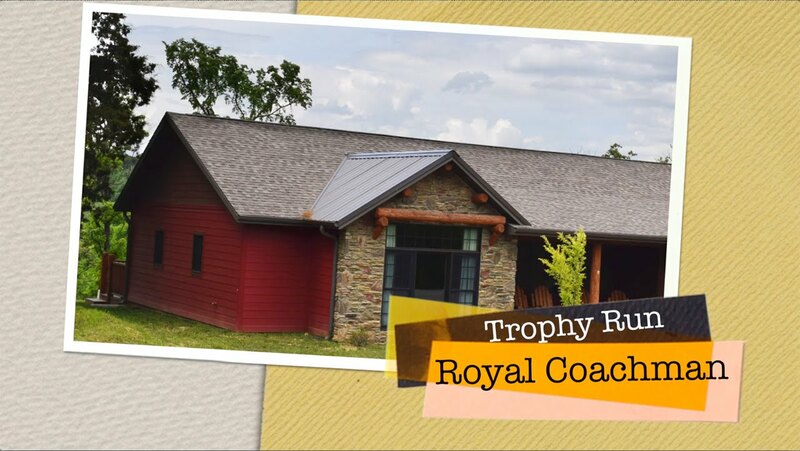 It has a shed design, including sheet metal roofing, adding all weather enjoyment and proximity to the natural beauty of our environment here at Trophy Run. 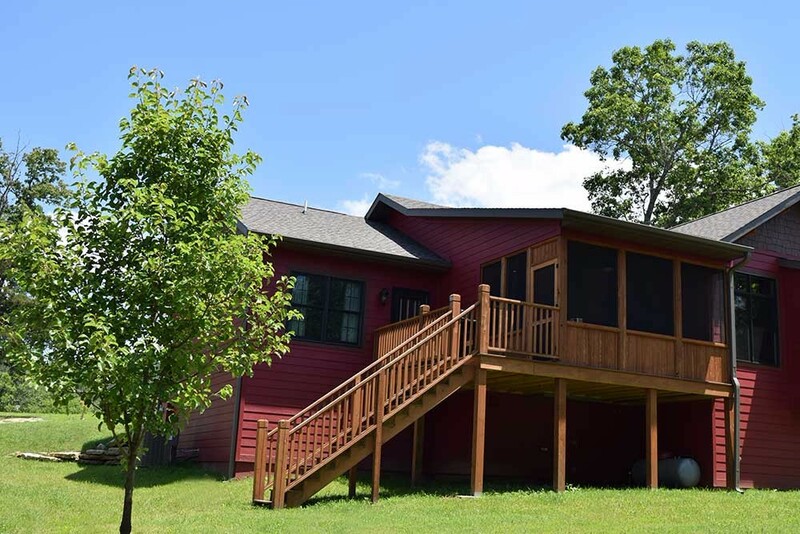 Attractively designed with rock accents and weather resistant exterior finishes, covered porches and decks add over 930 square feet of lifestyle to this cabin. 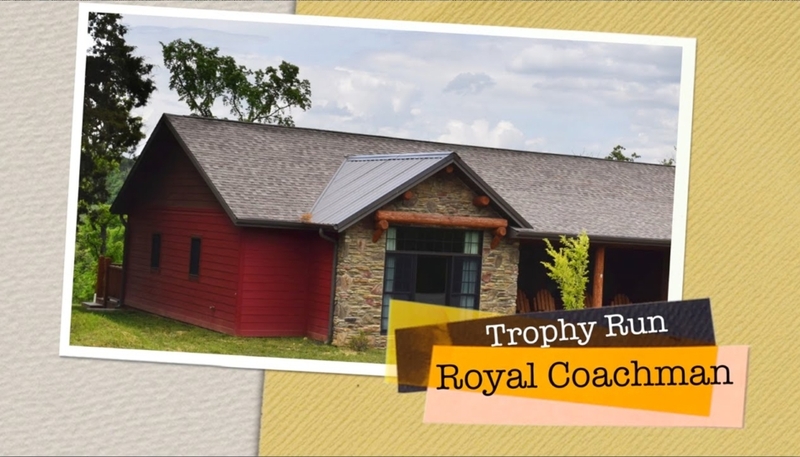 Seclude yourselves in great comfort or explore land and water adventures on Trophy Run’s park-like grounds or throughout beautiful Ozark Mountain Country. 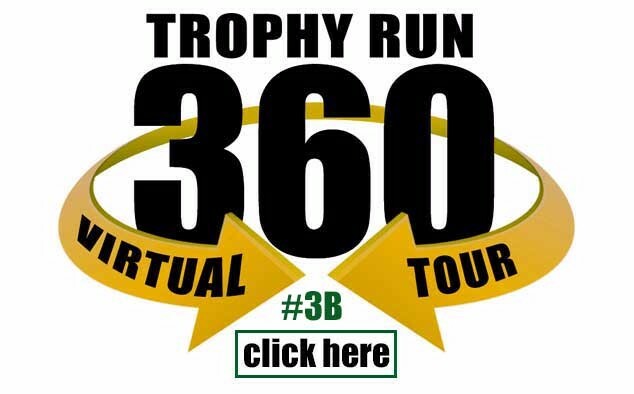 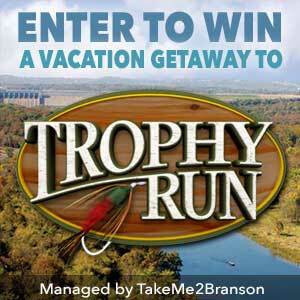 By clicking send, I agree to Trophy Run's terms and conditions.